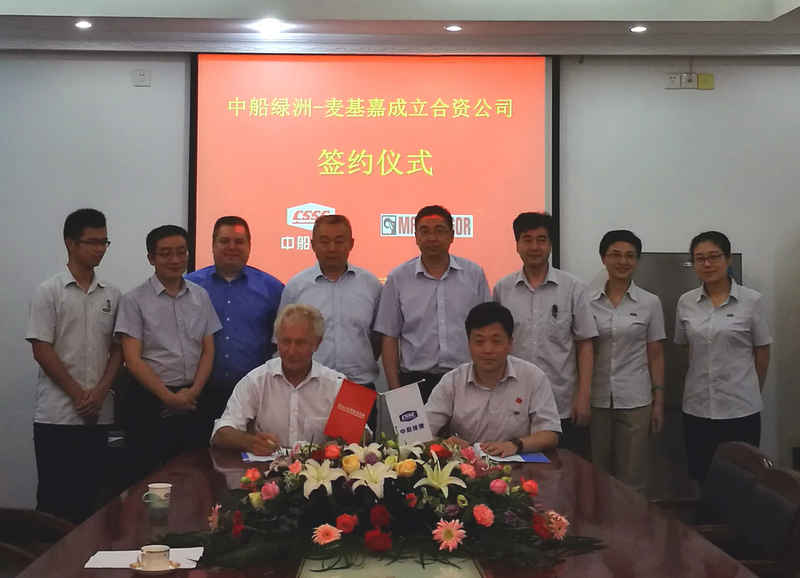 MacGregor, part of Cargotec, and China State Shipbuilding Corporation's (CSSC) Nanjing Luzhou Machine Co Ltd (LMC) signed a joint venture contract on 15 September 2016 to form CSSC Luzhou MacGregor Machine Co Ltd. Subject to all relevant authority approvals, expected within this year, LMC will own 51 percent and MacGregor 49 percent of the new joint venture company. As a first step, the joint venture will cover the transfer of Hatlapa marine air compressor technology over a two-year period. CSSC Luzhou MacGregor Machine Co Ltd will be located in Nanjing and will have exclusive sales rights for the air compressors in China. Outside China, service, spare parts and new sales will be undertaken by MacGregor's established network. "The planned joint venture will enhance our strategic partnership with the largest Chinese state-owned shipbuilding group, CSSC," says Jane Chen, Vice President, Head of China, at MacGregor. 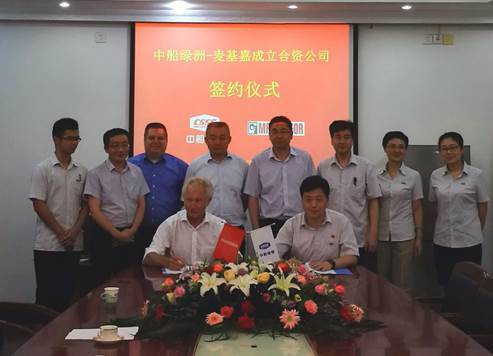 "MacGregor and CSSC Luzhou have more than 20 years' experience working together and now both parties see it as beneficial to widen this partnership and build a deeper cooperation model for certain business areas. "The joint venture will benefit from MacGregor's strong brand and product knowledge, as well as leveraging LMC's proximity to the shipyards belonging to the CSSC group," Ms Chen continues. "One of MacGregor's strengths is its global operations that focus on serving customers locally. The joint venture will not only strengthen MacGregor's market position in China, it will ensure an even greater local connection for our Chinese customers." Mr. Gao Jian, General Manager, CSSC Nanjing Luzhou Machine Co Ltd, says: "As the first joint venture between CSSC Luzhou and MacGregor, it marks the new commencement of our strategic partnership. The joint venture will also make its contribution to the Chinese shipbuilding industry and the ship equipment industry transformation. I have full confidence that the new joint venture will be a great success and we are looking forward to it."